Both seem to be relatively soft. Here's a picture to see them side by side. Edit to add these links and add word above. Thanks :) they do seem pretty similar... I guess it doesn't really matter which one I get. Does the width of a cup make much of a difference? I think what makes the most difference between those two is length. Can you locate your cervix and estimate if it's high or low ? based on how easily you can reach it, and keeping in mind that it could possibly come down a little at the beginning of your period (it's a common pattern, but your mileage may vary). Also, there's more than two high capacity soft cups : large Yuuki has been re-issued in its soft version, it's also one of the longest high capacity cup. XL Meluna soft is another fairly long and wide cup. Finally, I really recommend Si-bell as an even softer alternative to the Fleurcup (identical dimensions, just a bit softer, comes in clear only). In fact, Fleurcup & Si-bell are shorter than all of the others, so that makes them a safe choice if you think your cervix might be low. They're also a wider, more rounded shape, which can be more comfortable for some people vs. the more V-shaped of the Diva or Yuuki. Personnally, I find tappered V-shaped cups easier to remove, but that's just me... so you see, there are a lot of things to consider, most of them highly personnal ! I can reach my cervix during my period, but my fingers are pretty short haha, and for the rest of the month I can't reach it at all. I guess it's sort of high. 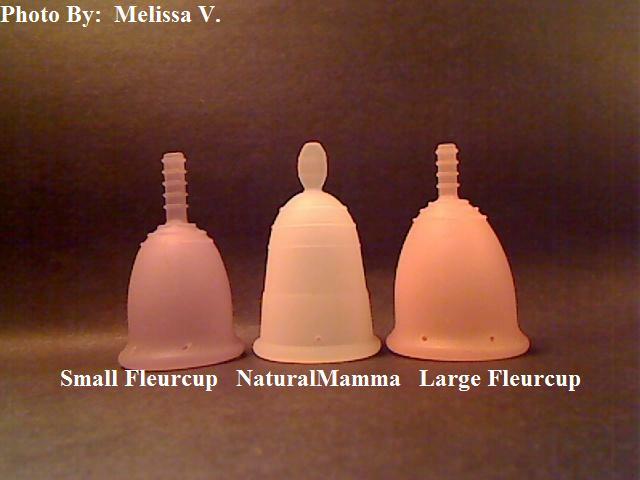 I ended up ordering the Fleurcup last night, because I like the grip rings. I figured that I'm just going to have to try a cup to know what's comfortable for me, as in shape and width. Well, I'm sure it'll be fine, if anything you'll just have to bear down a little more for removal. Fleurcup is highly praised in this comm' and definitely good on you for getting a large cup as your first one ! So many newbies/teenagers don't. The Mami Cup is another soft, high capacity cup. It's the same length as the Fleurcup (52 mm not including stem), same capacity, slightly softer, new so not as well known. Thanks everyone :) I did end up ordering a Fleurcup. A few people on here have had success with them so hopefully it'll be fine.